I have held of my review of Celebrity Reflection for 6 Months and we are still awaiting Celebrity investigation report in to our cruise. My wife and I have sailed on 22 cruise now and this was by far our worst. To say we were disappointed is an understatement. We live in the UK and prefer to travel to the States as we have found the whole customer experience so much better and friendlier. Needless to say we are back to Cunard and P&O this year. We were under the impression that Celebrity would offer the wow factor and I guess it did with the thimble of fizzy we received on embarkation Then on the first day it went downhill from there. The first irritation was whilst trying to enjoy some lunch was the constant barrage of being sold a drinks package. I counted 5 times that the same guy pestered me and 5 times. I asked to let me look at all the choices before I made decision and 5 times I asked for paperwork in order to do this for which he told me he only had his list. After lunch we ventured down to our cabin, our luggage hadn’t arrived so dumped our carry-on bags and started the tour of our home for the next 10 Days, followed by our muster drill. (This was a wow and the best muster drill we have experienced in 12 years of cruising together) Then back to the cabin where our bags started to appear. We quickly unpacked and settled in. Then shock horror my wife started to become agitated by the bed. She said to me that it had not been changed probably since the last cruise. I laughed at her and said she was being silly until she pulled the bed apart, where her suspicions were confirmed. 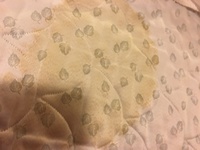 (Please see pictures) the sheets were soiled and the mattress protector was covered in what looked like a combination of urine, seaman and pubic hair, worse however was the mattress topper which was completely stained in human fluids. We visited guest relations and asked to speak to the hotel manager. We were told to return to our cabin and a manager for cabins would visit in due course. He promptly arrived and we showed him our findings to which he looked horrified. I requested we move cabin but had to settle for the cabin steward being humiliated in front of us and a promise that everything including the stained pillows which we went on to discover would be changed by the time we came back from dinner. 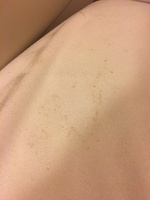 Once again I did request a change as the picture of the bed I knew would remain in both our minds the entire cruise for which it did.The cabin was cleaned thoroughly and clean bedding and pillows replaced. We were left a bottle of house red wine though. (W O W ). First impressions set the standard and after the first 6 hours well no more can be said. We won’t be cruising Celebrity again. The food and service in the main dining room was also disappointing and it seems there is more emphasis to upsell again to premium dining venues. My expectation is that we have paid a fair price to receive good service and quality food served with a smile. What I felt we got was mediocre food served luke warm and dining service like a conveyor belt in order to turn tables quicker. Being over 15 years in the food industry I expected better and a complete lack of quality fresh vegetables. To be served FROZEN Green beans is sacrilege in my book To top all of this the last two days of the cruise there was obviously an outbreak of Nora virus as the ship was on code red and extreme measures of cleaning the ship were introduced all around the ship. We witnessed a lot cruise passengers refusing to use the hand sanitiser as they entered the ship and restaurants and if our cabin is the normal standard is it any wonder. 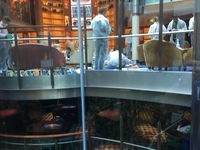 In summary Cleanliness, food and dining service as well as harassment of being sold a drinks package spoilt our cruise. It could have been so much better but they say first impressions last a lifetime. The gesture of a bottle of a cheap bottle of red wine the cost £5 in no way made us feel compensated for the poor state of our cabin and publicly humiliating the cabin steward in front of us was not only intimidating for him it made my wife and 11 year old daughter feeling very uneasy. I am an avid trip advisor critic; I use the name of Connollyf1. Please feel free to see to see if you can find any of my reviews. I am always positive about anywhere I stay or eat. I don’t look for bad points. In fact I don’t recall writing a bad review, which hopefully justifies my complete dissatisfaction of celebrity Reflection. I have held of my review of Celebrity Reflection for 6 Months and we are still awaiting Celebrity investigation report in to our cruise. My wife and I have sailed on 22 cruise now and this was by far our worst. To say we were disappointed is an understatement. We live in the UK and prefer to travel to the States as we have found the whole customer experience so much better and friendlier. Needless to say we are back to Cunard and P&O this year. Then on the first day it went downhill from there. The first irritation was whilst trying to enjoy some lunch was the constant barrage of being sold a drinks package. I counted 5 times that the same guy pestered me and 5 times. I asked to let me look at all the choices before I made decision and 5 times I asked for paperwork in order to do this for which he told me he only had his list. 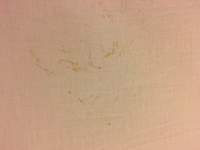 the sheets were soiled and the mattress protector was covered in what looked like a combination of urine, seaman and pubic hair, worse however was the mattress topper which was completely stained in human fluids. We visited guest relations and asked to speak to the hotel manager. We were told to return to our cabin and a manager for cabins would visit in due course. He promptly arrived and we showed him our findings to which he looked horrified. I requested we move cabin but had to settle for the cabin steward being humiliated in front of us and a promise that everything including the stained pillows which we went on to discover would be changed by the time we came back from dinner. 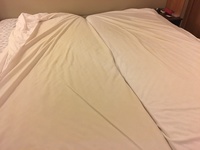 Once again I did request a change as the picture of the bed I knew would remain in both our minds the entire cruise for which it did.The cabin was cleaned thoroughly and clean bedding and pillows replaced. We were left a bottle of house red wine though. (W O W ). First impressions set the standard and after the first 6 hours well no more can be said. We won’t be cruising Celebrity again. The food and service in the main dining room was also disappointing and it seems there is more emphasis to upsell again to premium dining venues. My expectation is that we have paid a fair price to receive good service and quality food served with a smile. What I felt we got was mediocre food served luke warm and dining service like a conveyor belt in order to turn tables quicker. To top all of this the last two days of the cruise there was obviously an outbreak of Nora virus as the ship was on code red and extreme measures of cleaning the ship were introduced all around the ship. We witnessed a lot cruise passengers refusing to use the hand sanitiser as they entered the ship and restaurants and if our cabin is the normal standard is it any wonder. In summary Cleanliness, food and dining service as well as harassment of being sold a drinks package spoilt our cruise. It could have been so much better but they say first impressions last a lifetime. The gesture of a bottle of a cheap bottle of red wine the cost £5 in no way made us feel compensated for the poor state of our cabin and publicly humiliating the cabin steward in front of us was not only intimidating for him it made my wife and 11 year old daughter feeling very uneasy. I am an avid trip advisor critic; I use the name of Connollyf1. Please feel free to see to see if you can find any of my reviews. I am always positive about anywhere I stay or eat. I don’t look for bad points. In fact I don’t recall writing a bad review, which hopefully justifies my complete dissatisfaction of celebrity Reflection.